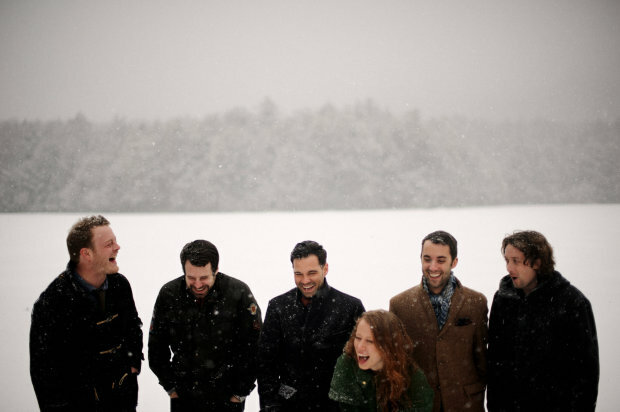 The Lone Bellow is leading a revival. What they’re attempting to revive is the type of Americana vignettes that make songwriting a particularly colorful, textured yarn to spin. It’s what’s missing from a lot of acts who wax poetic on vagaries rather than personal experience, an impossible task for the Brooklyn folk act. Frontman Zach Williams first started the band as a means to process a nearly fatal horseback riding accident that almost left his wife paralyzed. Their debut eponymous album sorts through the uncertainties Williams was faced with in a gorgeous mix of Americana fervor and throwback country ease. For a just emerging band, their debut album’s outlying details were heavily thought out to benefit them for the long haul. Pipkin is surprisingly jovial on the phone, as she and the band attempt to pass the time stuck in Santa Cruz. An error in fueling led them to a repair shop to siphon out a full tank of gas in favor of diesel, which the van takes. Days like these are a far cry from those musical nights spent on tour, a contrast that heavily influenced the band’s forthcoming album. “One minute you’re around a crowd of people and the next you’re stuck at a repair shop for four hours,” Pipkin says with a laugh. Their next album focuses on the familial as well as the mundane, of which Pipkin believes there is a still beauty. The Lone Bellow is also looking to capture their live essence and employed the use of room mics and reverb plates in the type of living room jam recording session you’d expect from a band that captures the eyes and ears of its fans with such intensity. At a recent show, the band closed its eyes as the music coursed through them and Williams dropped to his knees, only to open his eyes and see his audience following suit. It is those moments, away from festivals and surrounded by “people who are excited to see you” where the Lone Bellow thrives. Their show at the Fillmore promises to be just kinetic. Catch the Lone Bellow this Friday at the Fillmore. Purchase tickets here.